Google has another unique tool to help advertisers make the most of their paid ad space. Advertisers can include Seller Ratings as part of their ad and can take advantage of this feature to highlight the quality of their products or service and lend additional credibility to their business. 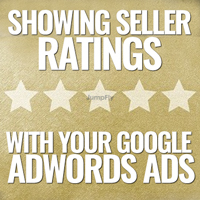 There is no cost involved in showing Seller Ratings with your ads, but ad click charges apply as they normally would. These extensions can appear in ads in the top positions, either just next to or just below the display URL. Your business must have at least 30 unique reviews (each from the past 12 months) and an overall rating of 3.5 stars or higher in order to be eligible to have Seller Ratings appear alongside your ad. There is nothing additional you need to do (and it’s important to note that you can’t force Google to show your ratings), but if you prefer not to have Seller Ratings appear with your ads, there is an opt-out feature available as well. In order to compile these Seller Ratings, Google pulls reviews from a number of sources including Google Trusted Stores, StellaService, Google Consumer Surveys, and individual reviews from a seller’s domain from a wide variety of third-party sources. Google automatically filters out any reviews it considers to be questionable. If your store doesn’t yet feature reviews, you can apply for free to become a Google Trusted Store by following this link: Google Trusted Stores. In order to get the most out of Seller Ratings and to ensure that the reviews shown are as accurate as possible, there are things that you, as an advertiser, can do to improve the quality of the ratings shown. Make sure your customers have a positive experience! Great customer service is key to building customer loyalty and earning positive reviews. Encourage your customers to fill out a review! Interact with your customers. Use Social Media to re-engage former customers and recruit new ones. The more you engage with existing and potential consumers in a positive way, the more brand recognition you’ll have, and the more likely they will be to leave positive reviews. In order to make it easier for advertisers to understand how effective these automatic extensions are, Google has unveiled its new Automated Extensions Report. My co-worker Cary blogged about effectively supplementing your conventional keyword-targeted campaigns with AdWords Dynamic Search back in August. But now we need to discuss some potential pitfalls of this type of campaign, and review how to refine them to be the most effective. Google AdWords Dynamic Search Ads campaigns are far from “set it and forget it.” They need to be monitored closely and refined to avoid potential wasted clicks and spend. For example, if you find that that your DSA campaign accounts for 40% of your spend but only 15% of your revenue, there are definite refinements that need to be made to the campaign to make it profitable. Since, by their nature, Google AdWords Dynamic Search Ads are dynamically generated and therefore less in your control, the addition of negative keywords to the campaign is critical. You can use the Search Terms Report feature on the Auto Targets tab to view the search statements that triggered clicked ads. You’ll want to create negatives of any keywords that have proven unrelated to the goods or services you sell, as well as possibly excluding keywords that you have paused in your regular search campaigns due to low profitability, out of stock or seasonal items. 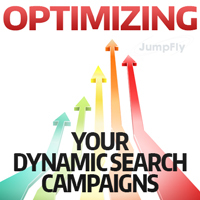 The Search Term Report will also show you landing pages automatically generated in your Dynamic Search ads. You can easily exclude any undesirable landing pages by using Dynamic Ad Target Exclusions from the Auto Targets tab. You’ll likely want to keep the served landing pages to those that actively feature products or services, and exclude those that include reviews, shipping and return information, contact information, etc. The Search Term Report can also provide new keywords to add to your AdWords campaign. Those search statements that produce results can be valuable additions as keywords in your keyword-targeted search campaigns. Choose from categories, URLs, page titles and page contents if you want to assert greater control, and give yourself the capability to break down categories of products for budget control or seasonal availability. Also, by grouping highly-related pages together (much like highly-refined ad groups in a traditional search campaign) and products of similar values together (high-price, high-margin products vs. low-price, low-margin products), the relevance of your ads will increase and an increase in ROI will likely follow. Remember to check your campaign regularly and take advantage of the tools available to assess if there is wasteful spend. 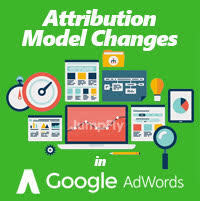 Google AdWords Dynamic Search Ads are not a panacea for all marketers, and regular review and refinement will enable you to determine if they are a good fit for you.